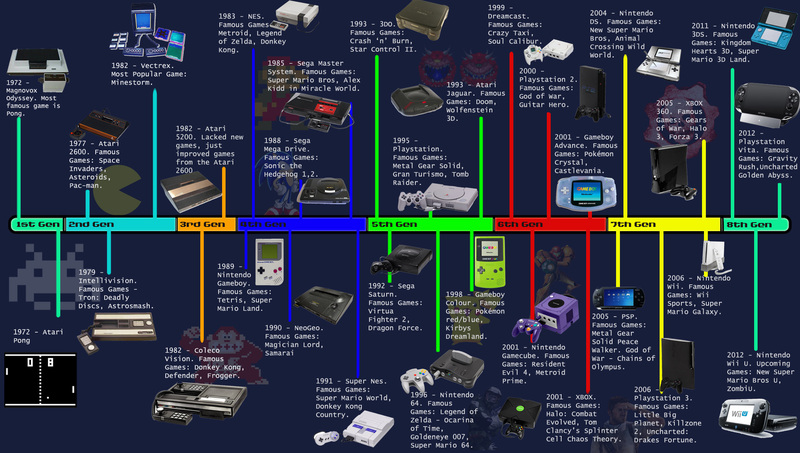 This is a timeline me and my friend Reece did for introduction to games design. We split the work by me doing the research and Reece doing the design but we did both input on each others work so i didn’t have to do just all the research which does drag a bit. And we thought it would be a bit unfair for one person to get to do all the design work. We chose to do our timeline in Photoshop because we are both most comfortable using it over other software. We were overall happy with the design we come up with for our first piece of work for Introduction to games design. I also had another design for the timeline but we decided to use Reece’s idea because we had already done more work on it and didn’t have time to develop another idea. If i have to create a timeline for another project, which is likely, i would use some different software to see if i could improve on this one.